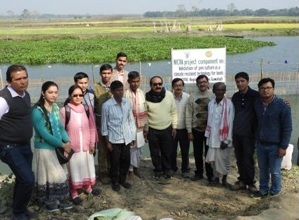 ICAR-CIFRI’s North-East regional Centre Guwahati (Assam) has taken up validation of pen culture as a climate resilient technology in 47-Morakolong beel (Morigaon district) under Project NICRA (National Innovations on Climate Resilient Agriculture) on 9th January 2018. 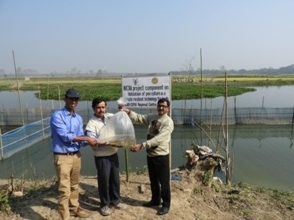 Five pens of 10 m x 10 m (i.e., 100 m2 area) were constructed in the beel periphery and stocked with small indigenous fishes such as Amblypharyn godonmola and Gudusiachapra along with IMCs Catla catla, Labeo rohita and Cirrhinus mrigala. The event was presided by Dr. U.K. Sarkar (PI of NICRA project and HoD RWF), Dr. B. K. Bhattacharjya (Act. 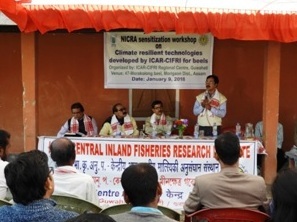 Head, ICAR-CIFRI Regional Centre, Guwahati), Dr. S. Borthakur (Professor, College of Fisheries, AAU), Shri Hemanta Baruah (DGM, NABARD, Morigaon), Scientists of Guwahati regional centre,Mr. 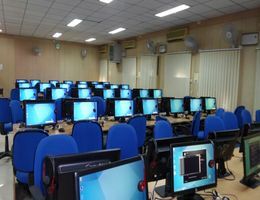 Bipul Phukan (Assistant Professor, CoF, AAU, Raha). President, secretary and more than 30 members of 47-Morakolong Meen Samabay Samiti (Fisheries cooperative Society) facilitated the event. On this occasion, a sensitization workshop was also organized on ‘Climate resilient technologies developed by ICAR-CIFRI for Beels’. The executive committee of the Society welcomed dignitaries and participants for the workshop and expressed their sincere thanks to ICAR-CIFRI for choosing the wetland for demonstration of climate resilient pen culture.Dr. U. K. Sarkar (Convenor) expressed satisfaction over the support being extended by the Cooperative Society. 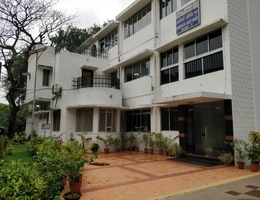 Dr.Bhattacharjya (Jt. 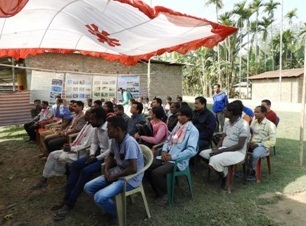 Convenor) of the workshop explained how climate change is affecting wetland fishers and fisheries. The primary emphasis was on showcasing pen culture as a reliable tool for coping with climate change. Stocking of SIFs along with IMCs is being initiated with the objective of evaluating whether additional income can be accrued from the system in the face of climatic vagaries. Dr.Debnath, Organizing Secretary of the Workshop expressed gratitude to Dr. B.K. 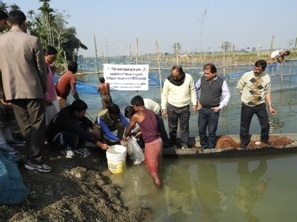 Das (Director, ICAR-CIFRI, Barrackpore)and Dr. U.K. Sarkar (PI, NICRA) project for supporting the component in Assam.